With our skilled mechanics and diagnostic equipment we are able to diagnose and perform repairs on all major engine manufactures while specializing in Detroit and Caterpillar. We also have a full service general maintenance department that is able to take care of all your maintenance needs. Our trailer repair shop offers full service repairs specializing in bulk and liquid tank repairs. In addition to routine repairs our shop is also equipped to perform fabrication and welding such as trailer reframes. The skilled fabricators have a multitude of machines to perform their repairs such as a metal shear, metal break, metal punch, as well as flat and angle metal rollers. We are equipped to perform professional welding on steel, aluminum, and stainless. 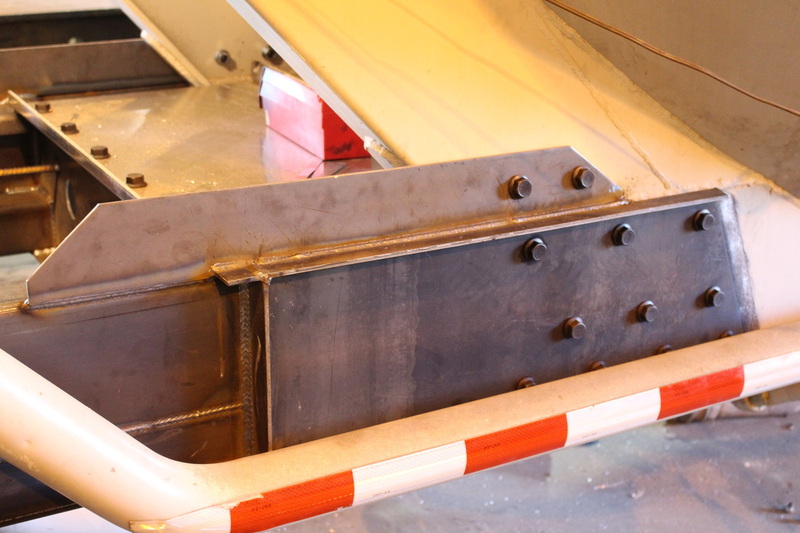 The fabrication shop also manufacturers all types of Upper Coupler plates for a variety of dry-bulk and liquid tankers.